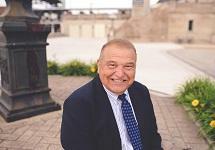 For more than 25 years, Gary Wunderlich has been an advocate for those involved in personal injury or other accident in the Will County and surrounding areas. He has tried over 100 cases to verdict, both defense and plaintiff’s work, and has successfully recovered millions for injured plaintiffs. Additionally, he zealously defends the clients of Country Companies Mutual Insurance Company. Gary is a graduate of Lewis University in Romeoville, Illinois and the John Marshall Law School in Chicago, Illinois. He was admitted to the Illinois State Bar in 1982, and is also admitted to the Federal Trial Bar for the Northern District of Illinois. Subsequent to graduation from John Marshall Law School, Gary Wunderlich served in the United States Marine Corps. There, he served in the trial division of the Judge Advocate General’s office as a criminal defense attorney. Gary represented individuals facing charges of theft, manslaughter and aggravated assault, as well as numerous other cases involving lesser offenses. Upon discharge from active duty in 1986, Gary was awarded the Naval Commendation Medal for services as trial counsel, and also as an instructor in the Uniform Code of Military Justice. While remaining a member of the United State Marine Corp Reserve, Gary became an Assistant State’s Attorney in Cook County, Illinois, working in Special Prosecutions, Financial/Insurance Fraud Division. He subsequently joined the Chicago offices of Hinshaw & Culbertson in 1989, working primarily in insurance defense matters. Gary was recalled to active duty in the United States Marine Corp in support of Operation Desert Storm in 1991. At that time, he was also promoted to the rank of Major. Upon his return, Gary joined the Joliet offices of Spesia & Ayers, becoming a partner in Spesia, Ayers, Ardaugh & Wunderlich in 1994. In 1997, Gary founded Wunderlich Law Office, Ltd., specializing in insurance defense issues. Over time he expanded his practice to wide range of personal injury matters, using his insight as a defense attorney to successfully litigate numerous personal injury claims and other business and commercial litigation.